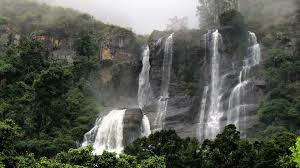 Located in the Nuwara Eliya district, the proposed project came within the Kandapola – Seetha Eliya Forest Reserve. It involved the construction of a 9.2 MW mini hydro power plant on the Bomuruella Falls situated in the upper reaches of the Uma Oya,which is on a higher elevation and an important catchment area. The EJO Environmental Foundation Limited filed a case against the project requesting that the approval granted by the Central Environmental Authority (CEA), be cancelled. It also requested the court to quash the annual permit given by the Ceylon Electricity Board (CEB). In August 2004, the Court of Appeal ordered the implementation of the hydro power project be suspended. An article in the Sunday Observer reports citation from legal experts of EFL: "The proposed site is in an environmentally sensitive area with rich bio-diversity but no EIA has been carried out so far. Only an Initial Environmental Examination (IEE) Report, not for public comment, was prepared", Vinod Moonasinghe, EFL information officer, claimed. According to the EFL, the private company was granted the approval based on the IEE, which is a mere report to ascertain the environmental impacts of the project. The EFL has also charged the responsible authorities for not carrying out site inspection to evaluate the geological features of slope stability and drainage pattern of slopes between the wire and the fore bay tank. " The power house is to be constructed at an elevation of nearly 1270 metres above sea level and the necessary slope excavation could effect the stability of the hill side", he said. The EFL has warned of grave and irreparable damage to the environment if the project is implemented, including deforestation, loss of endemic flora, soil erosion and earth slips. " Over 1420 trees will be cut to construct the power plant and this would affect the rainfall pattern," Moonasinghe added. R. Jayasinghe, N. Bandara and K. Mohotti, "Contamination Sources of Bomuruella Reservoir at Nuwara Eliya," Journal of Environmental Protection, Vol. 2 No. 3, 2011, pp. 271-279. doi: 10.4236/jep.2011.23030. Bomuruella Mini Hydro Power Plant - Legal Portfolio, Environmental Foundation Limited.